Jeeps were sometimes shipped overseas in crates… but that doesn’t mean you could buy one for $50! Was this ever true? Doubtful. Some jeeps where in fact sold in crates by the government after the war but never for $50. When you go to a show you can often hear someone claim they have a friend that knew a friend that ”almost” bought a jeep in crate for $50. But of course nothing ever came of it. After the war some veterans received a priority allowing the purchase of surplus items which included jeeps, trucks and other items. For more information check out the Olive-Drab website. 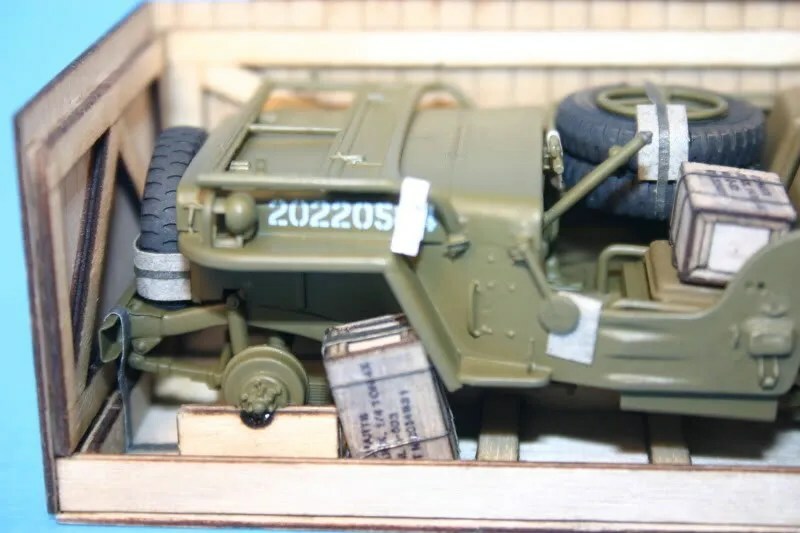 A WW2 Ford GPW “jeep” in a crate. 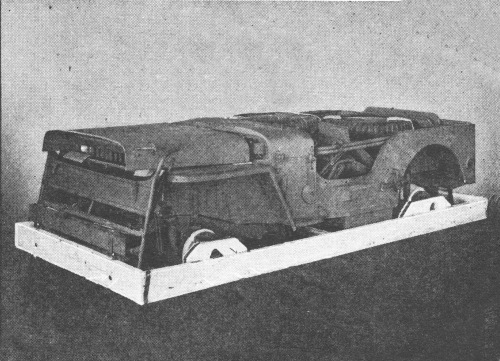 Some jeeps were shipped overseas in crates for reassembly at a staging point. A while back a “wood crate kit” was available. You take your WW2 jeep model or die-cast model and add in a laser cut wood kit. It really looks pretty cool! While it is unlikely you will find a complete vehicle in a crate, you still can find parts in their original containers! Websites like ebay often have a ton of WW2 jeep related parts. And maybe you never thought about looking past your own country for parts? Well, ebay has several sites. Check them out there my parts link! I have included links to eight countries, including the United States, Canada, United Kingdom, Australia, France, Netherlands, Germany and Italy.